how we can help you simplify the complex nature of finance. At Acumen & Trust, our thorough and unique approach to analysing your finances sets us apart. We’ve focused on simplifying complex financial detail for our clients since 1996. We specialise in delivering financial planning advice, investment and pension solutions and currently manage more than €650m for our clients. Whether you are a business owner, senior executive, employer, employee or retiree, our highly skilled team of over 40 professionally qualified staff are on hand to ensure your needs are taken care of. For personal clients we help you to makes sense of your finances and guide you in developing a plan to ensure your financial security into the future. For employers we can advise on a comprehensive employee benefits package incorporating company pension, protection and healthcare that will attract and retain the best employees. Talk to a member of our team today to see how we can help. 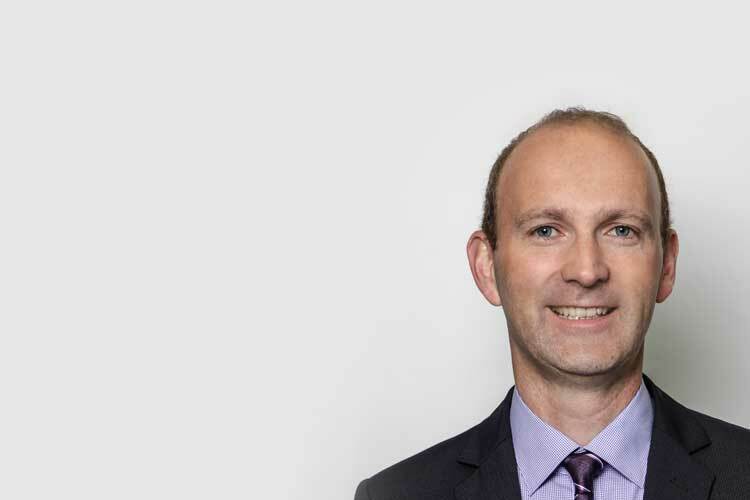 A qualified tax consultant, David draws on 25 years experience in wealth management and investment and pension planning when advising private clients on their financial affairs. He also specialises in shareholder and business protection arrangements. 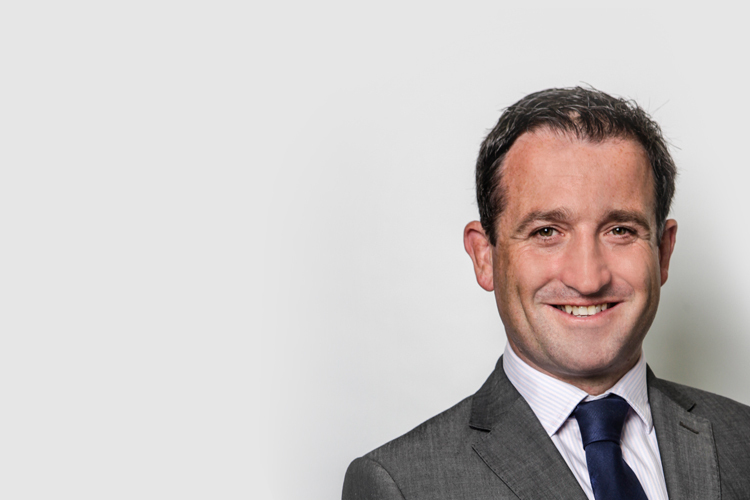 Before setting up Acumen & Trust in 1996, he started his career in KPMG before moving on to hold senior positions in Davy Planlife in the areas of taxation, pensions and financial planning. 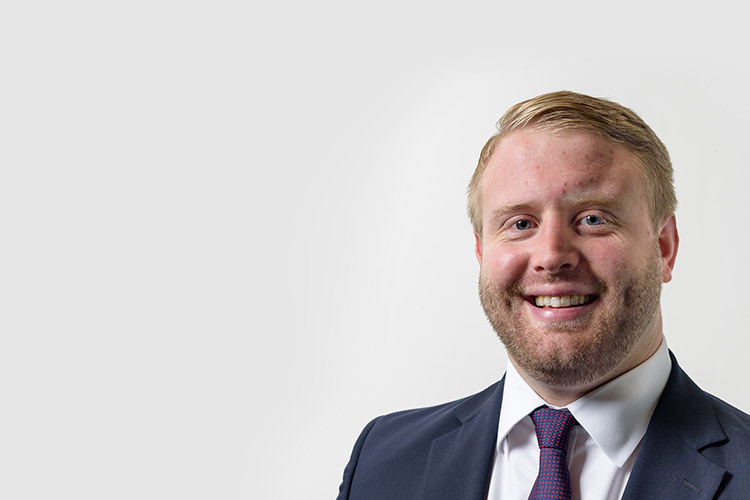 Conor provides advice to private clients and corporate pension schemes and has responsibility for developing our network of business partners including accountants, tax consultants, solicitors and brokers. 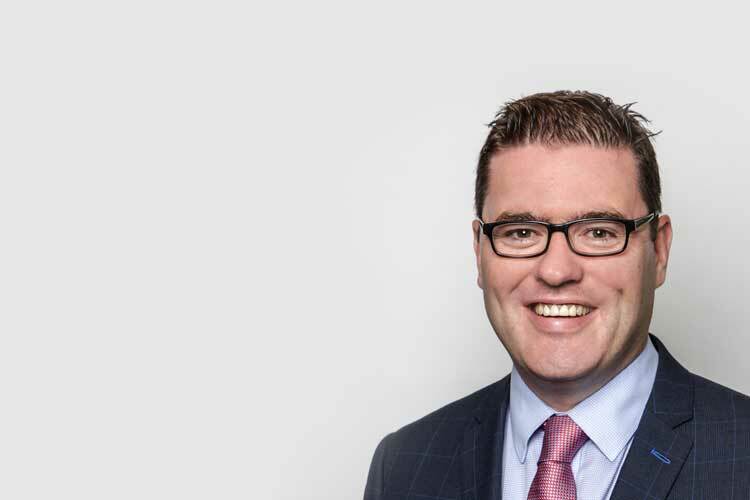 Prior to establishing Acumen & Trust, Conor built up a strong track record in investment and pensions consulting with Planlife Advisory Services and Irish Life Assurance. 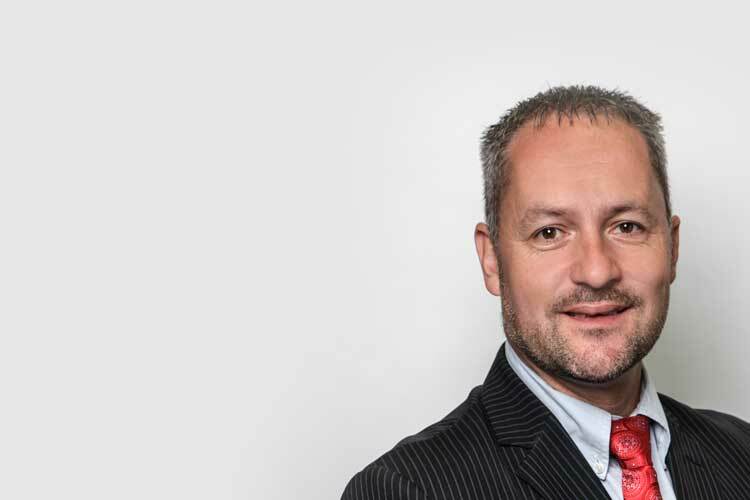 An experienced financial advisor and portfolio manager, Stephen specialises in developing unique investment and pension strategies tailored to individual clients requirements and circumstances. 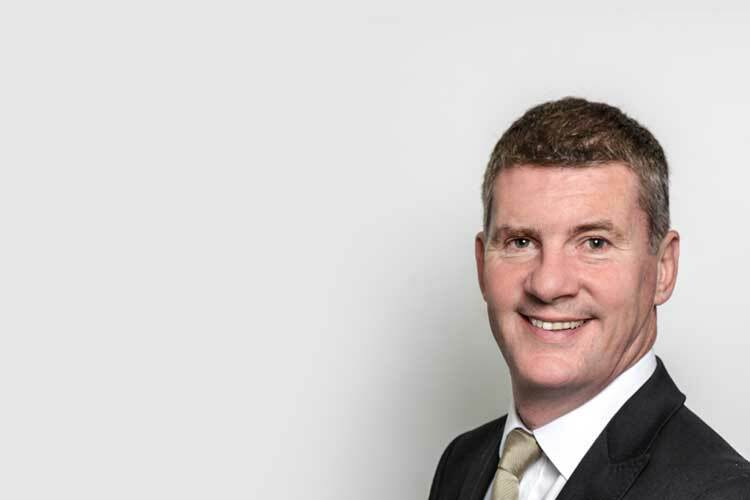 Prior to joining Acumen & Trust in 2005, Stephen held advisory positions in Standard Life. Bevan joined Acumen & Trust in 2012 and is a Qualified Financial Advisor, experienced in all aspects of financial planning. He works with private clients and has responsibility for business development with our partner firms. Bevan has over 10 years experience in client management which he gained at AIB bank. Eddie is a Qualified Financial Advisor and provides advice on all aspects of financial planning. His role also focuses on business development initiatives. He has over 30 years experience in financial services, having held a number of senior management positions related to capital & financial markets in Citibank plc and AIB Group. 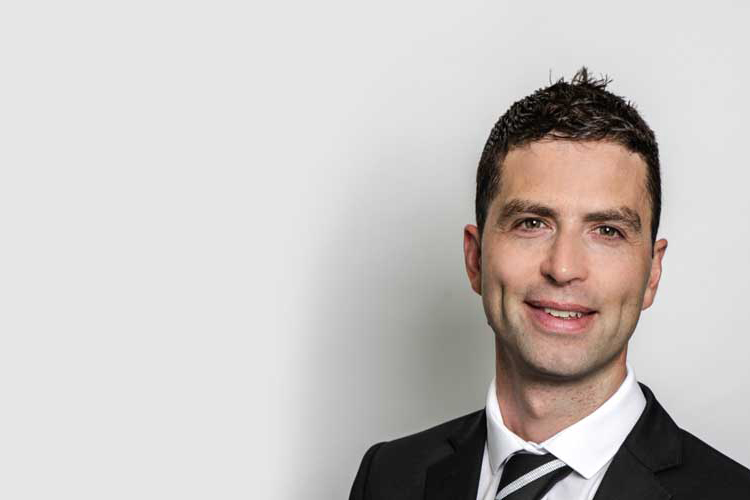 Ronan has a business degree from Dublin City University (DCU) and is a Qualified Financial Advisor. He joined Acumen & Trust in 2013 as a Financial Consultant providing advice on all aspects of personal financial planning including protection, investment and retirement planning. Prior to joining the team he worked as an account manager with PricewaterhouseCoopers (PwC). A Certified Financial Planner and Qualified Financial Advisor with eight years financial services experience gained in global private banking and insurance institutions in Dublin. An experienced wealth/client manager managing portfolios across all financial requirements including pensions, investments, protection, tax and estate planning. Prior to joining A&T Sarah worked in Bank of Ireland Private Banking. David joined Acumen & Trust in 2003 from Scottish Provident. David provides advice across all aspects of personal financial planning, with particular emphasis on investment portfolio management, protection and retirement planning. David advises on all aspects of financial planning such as Pensions, Investments, Protection, Retirement and Estate Planning. David joined Acumen & Trust in 2011 from Bank of Ireland where he held various Advisory positions. David has a number of qualifications which include a Masters in Financial Services, Post-Graduate Diploma in Financial Planning & B.A. in International Business & Languages. 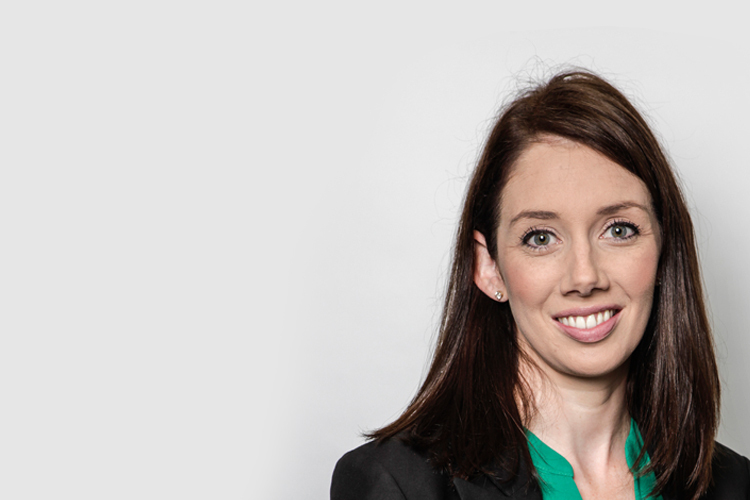 Áine joined Acumen & Trust in 2018 as a Financial Planning Consultant and advises on all aspects of financial planning such as Pensions, Investments, Protection, Retirement and Estate Planning. Áine holds a Bachelor’s degree in Commerce International, Graduate Diploma in Financial Planning and MSc in Financial Services from University College Dublin and has numerous qualifications including Qualified Financial Adviser, Retirement Planning Advisor, Specialist Investment Advisor and Certified Financial Planner ™. 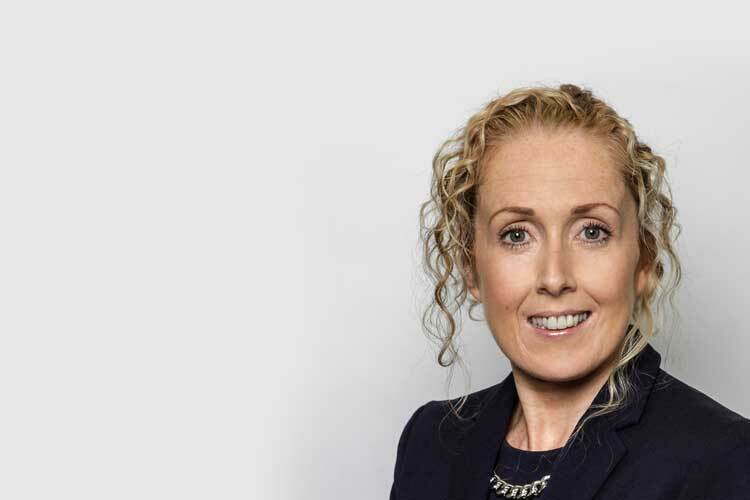 Prior to joining Acumen & Trust, Áine was a Director and Financial Consultant/Planner in Baseplan, a financial planning & wealth management firm where she gained over 13 years’ experience in providing client and advisory services across all aspects of financial planning. 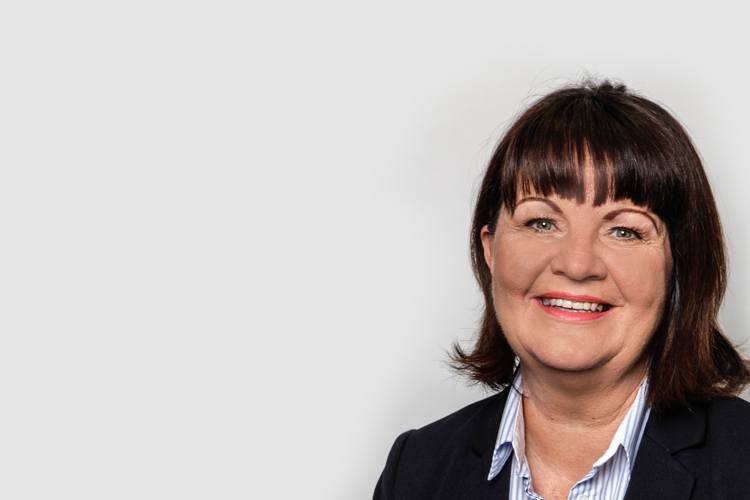 As a Financial Consultant, Caroline advises on all aspects of financial planning such as Pensions, Investments, Protection, Retirement and Estate Planning. 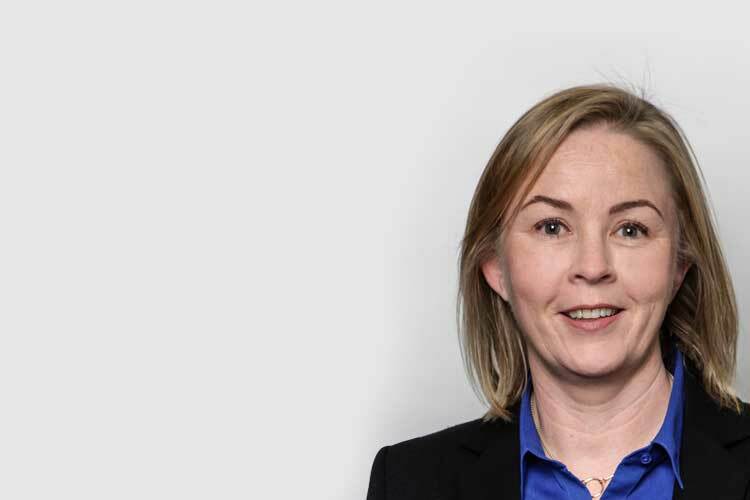 Caroline is a Certified Financial Planner and Qualified Financial Advisor with seven years financial services experience gained in Wealth Management and Financial Service institutions in Dublin. 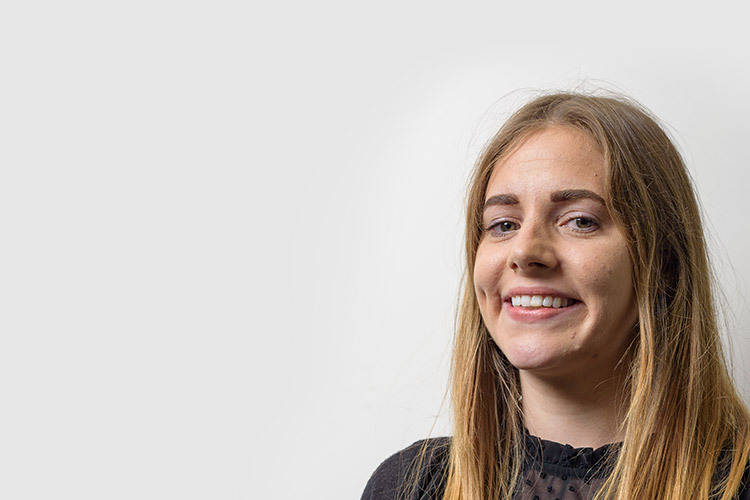 Prior to joining Acumen & Trust in 2018, Caroline worked in Harvest Financial Services and Davy. 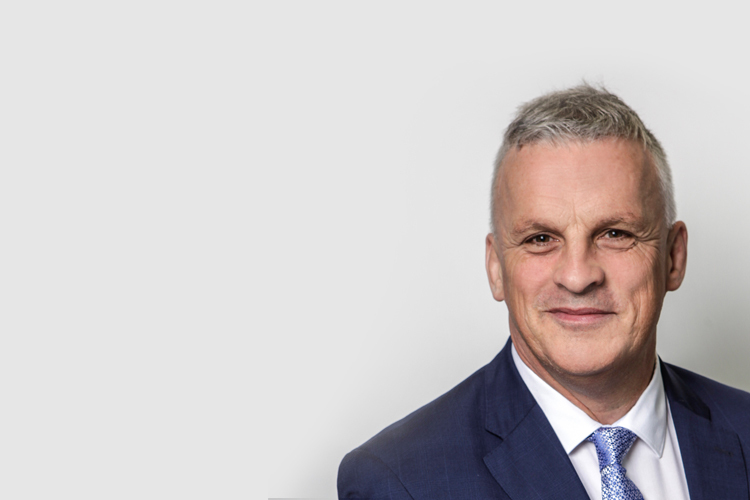 Gerry joined Acumen & Trust with 16 years' experience advising private and corporate clients on financial needs such as tax efficient retirement planning, estate planning, investment and protection. A Specialist Investment Advisor and Certified Financial Planner® having completed a post graduate diploma in Financial Planning, he has held similar roles within the broker and banking industries and brings a broad view of the financial services sector to Acumen & Trust. Wendy has worked in the Irish Financial Services industry for 15 years and joined Acumen & Trust as a Financial Planner in 2015. 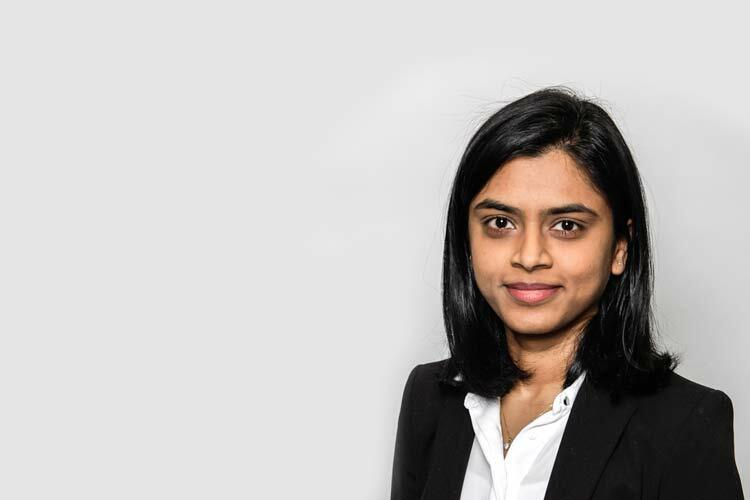 She previously worked as part of the Pensions & Investments team at Deloitte where she gained experience in providing financial advice to individuals and family businesses. More recently Wendy has worked with a number of corporate clients primarily advising on investment choices and executive retirements. Wendy is a Qualified Financial Advisor. Patrick has a Bachelor of Business Studies degree and Masters in Financial Services from the University of Limerick (UL). He is a Qualified Financial Advisor (QFA) and Associate of the Institute of Pension Managers (AIIPM). 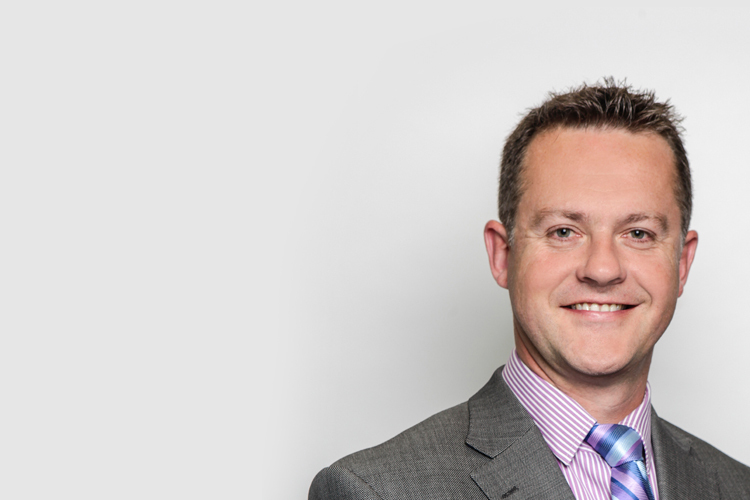 He joined Acumen & Trust in 2015 as a Financial Planner and works with our Financial Consultants to provide advice on all aspects of personal financial planning including protection, investment and retirement planning. Prior to joining the team he worked with Deloitte Pensions and Investments. Patrick has completed the Graduate Diploma in Financial Planning and attained Certified Financial Planner status. Ken joined Acumen & Trust as a Financial Planner working with our Financial Consultants to assist clients to achieve their financial and lifestyle goals. Ken graduated from Business and Management at D.I.T. in 2011, obtained the Qualified Financial Advisor designation in 2013 and completed the Graduate Diploma in Financial Planning in 2017 followed by the Financial Planning Standards Board entrance exam in 2018. Prior to joining Acumen & Trust Ken worked as a Financial Planner at Prosperous Financial Planning & as a Team Leader within the Hedge Fund administration industry at Morgan Stanley and Citi Bank. 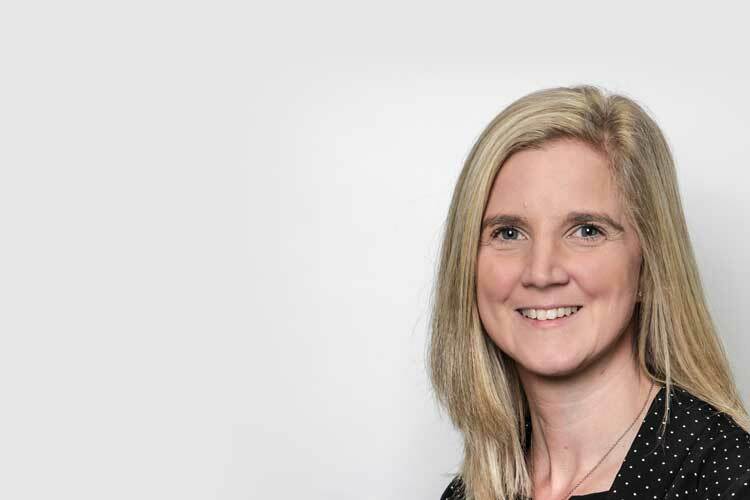 Kate joined Acumen & Trust as a Financial Planner and works with our Financial Consultants to provide advice to clients on all aspects of personal financial planning including protection, investment and retirement planning. Kate graduated from D.I.T in 2014 where she received a BSc in Accounting and Finance. After graduating from college Kate started her career as a Financial Advisor working with Corless & Associates Financial Services. Kate completed the Qualified Financial Advisor designation in May 2015. 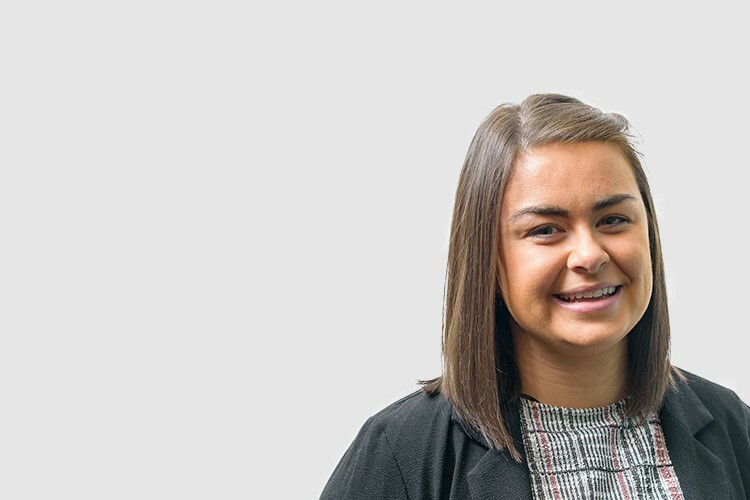 Ciara is currently Customer Services Team Manager, which involves all aspects of administrative support, particularly dealing with the various life offices and institutions that we do business with and co-ordinating client enquiries. 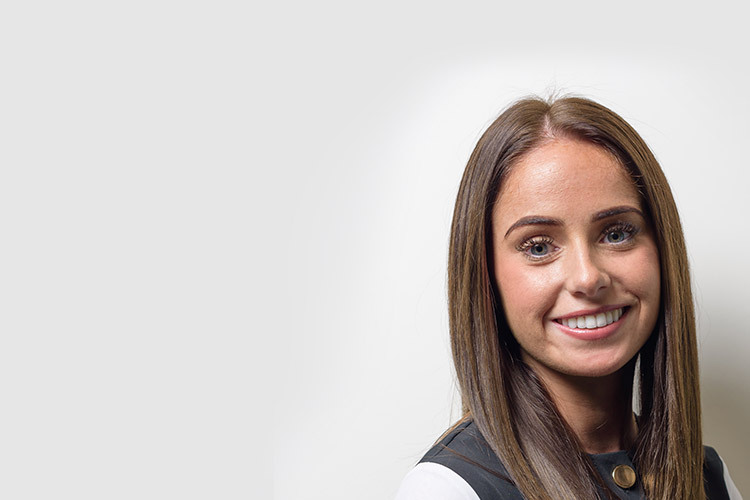 Ciara previously worked at IIB Finance Limited as a Sales Executive for Insurance Premium Finance and before that she undertook a variety of roles within Standard Life in the Pensions and I.T. Departments. Stephen is a Qualified Financial Advisor and joined the team as Customer Service Administrator. The focus of his role is to foster long term relationships with both clients and product providers to ensure the smooth and efficient processing of transactions and applications. Stephen joined from AIB, where he worked in retail banking focussing on Lending and Customer Services. Customer Services Administrator in Personal Financial Planning with over 11 years experience working in customer service and office administration within the banking sector, from retail banking to life assurance and working as a Customer Service Supervisor which involved project management with specific responsibility for enhanced customer communications. She also has a Graduateship in Marketing from the Marketing Institute. The focus of Ioan's role is to cultivate long term relationships with both clients and product providers to ensure the smooth, efficient and compliant processing of transactions and applications. He worked in financial services for 9 years in both front-line banking and support roles, having previously worked as compliance specialist for Volkswagen Financial Services, and in Quality Assurance and Operational Risk with PTSB. He's currently studying for Qualified Financial Advisor (QFA) exams. David joined the financial planning team as a customer service administrator. His role is to foster long term relationships with clients and product providers to ensure the smooth and efficient processing of transactions and applications. 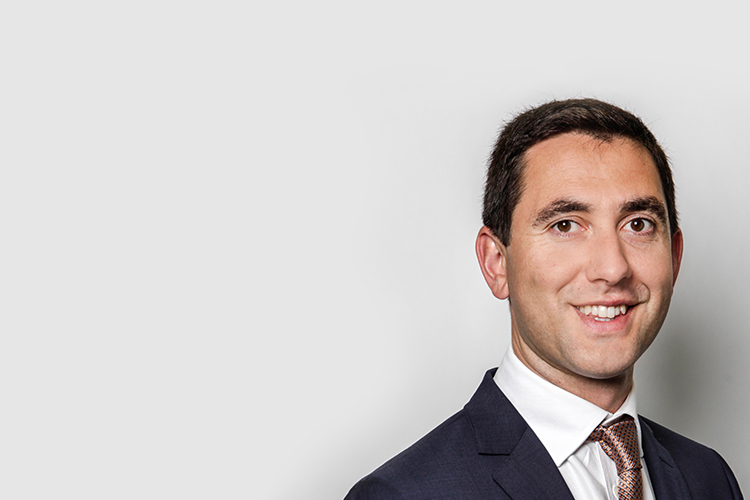 He previously worked in Zurich Life for 5 years, where his role was client services executive. He has the Qualified Financial Advisor (QFA) qualification and recently completed the asset management module for the Certified Financial Planner (CFP). Lauren joined the financial planning team as a customer service administrator. Her role is to foster long term relationships with clients and product providers to ensure the smooth and efficient processing of transactions and applications. She graduated with a level 8 BSc in Business & Law. Prior to joining Acumen & Trust, she worked was a pension & SSAPS administrator. She is currently studying to become a Qualified Financial Advisor (QFA). 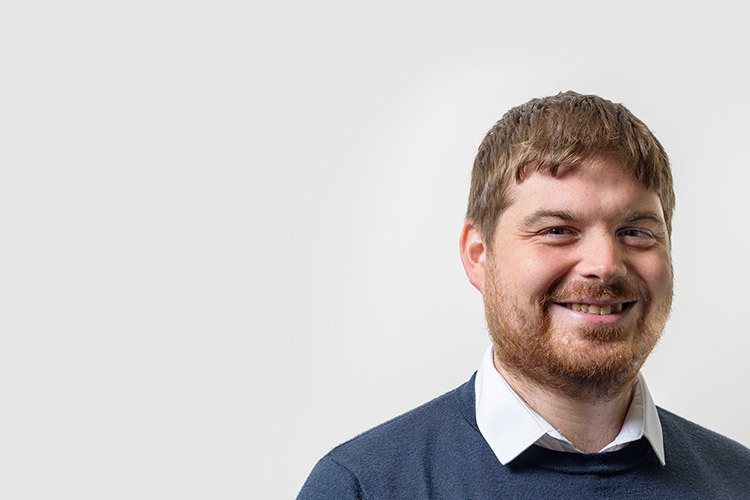 Ciaran leads the Employee Benefits team in Acumen & Trust. He has designed, managed and consulted to many pension schemes in Ireland over the last 25 years. 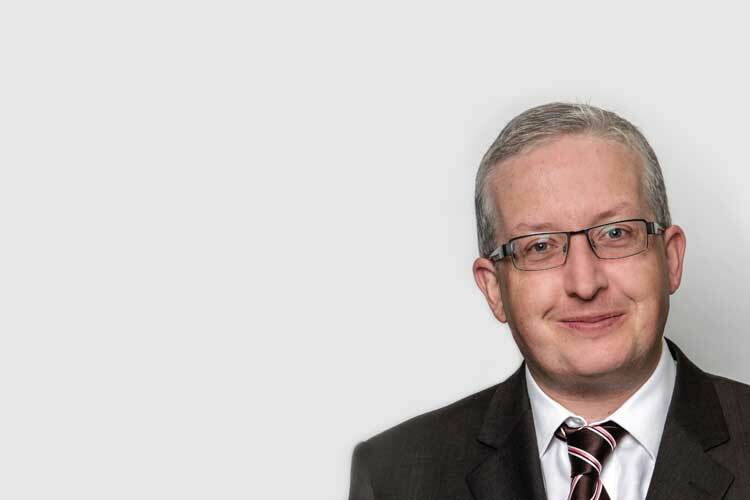 As a past President of the Irish Institute of Pension Managers, Ciaran is acknowledged as a leading expert in the pensions industry in Ireland. 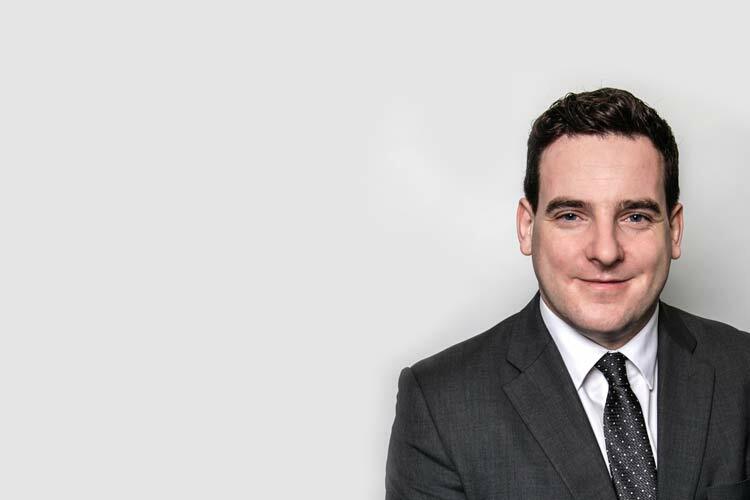 Ciaran is also an experienced trustee and provides independent trustee services to both DB and DC schemes. 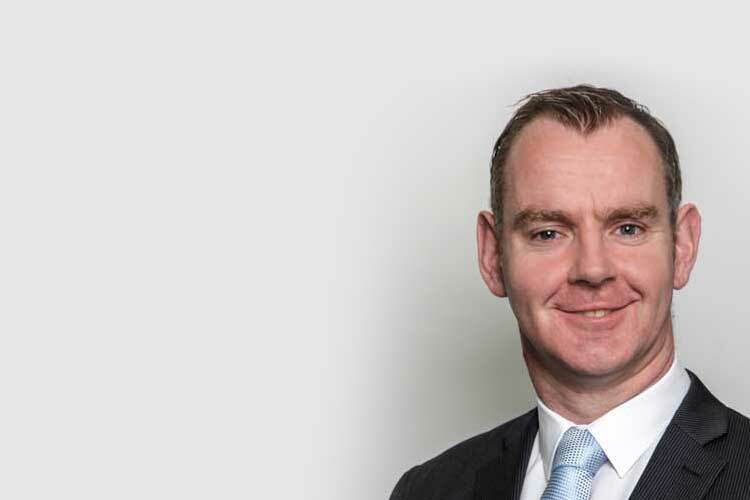 Prior to joining the company in 2000 as a director, Ciaran held senior management positions in Scottish Provident and Irish Pensions Trust. 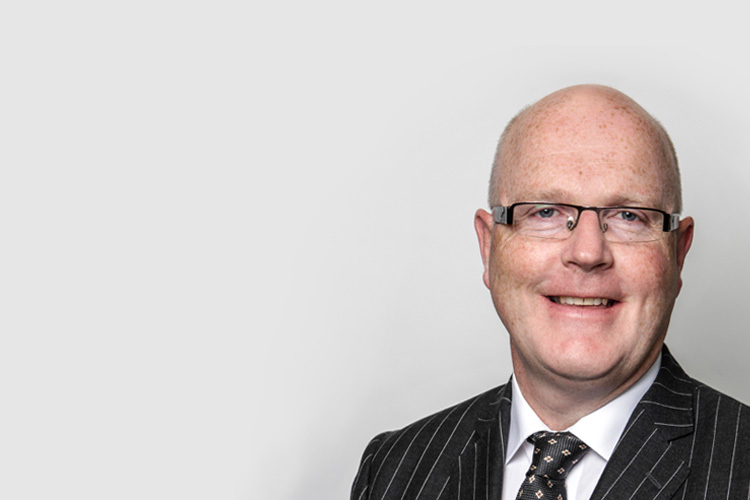 Fionan has worked in the Corporate Pensions industry since 1995 with vast experience in Managing and Co-ordinating Benefit Arrangements for medium to large corporate clients, having worked previously with IFG as Director of Corporate Pensions. 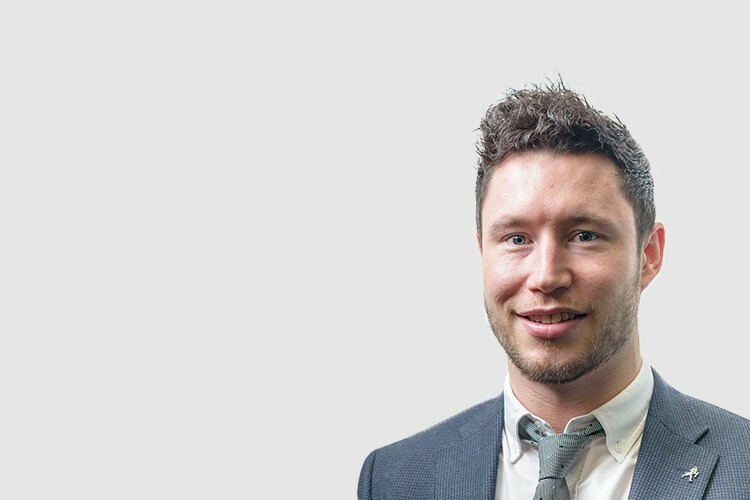 His role at Acumen & Trust is primarily focused on attracting and securing new corporate accounts ensuring high quality advice and service is provided. Karol has vast experience in the Life & Pensions industry in Ireland and has recently joined our Employee Benefits team. 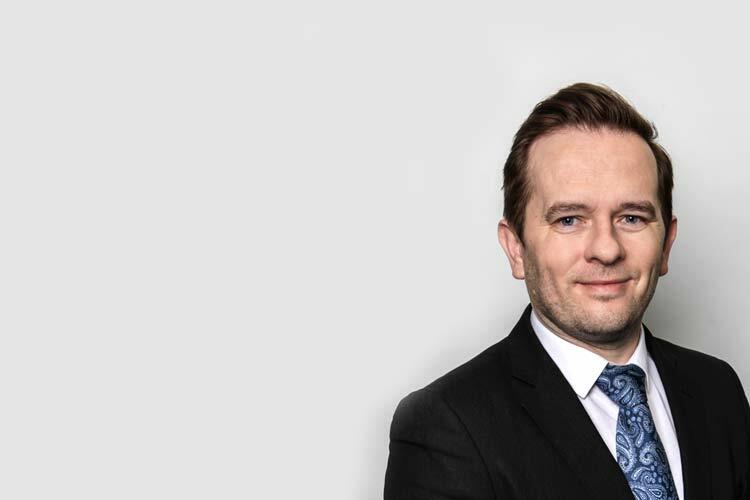 He is responsible for provision of an Employee Benefits Consultancy Service to a broad range of corporate clients, specializing in group pension, group risk and health insurance schemes. Prior to joining Acumen & Trust he held senior roles with IFG Corporate Pensions, PSL Consulting and Le Cheile Consulting. He is a Qualified Financial Advisor, a Retirement Planning Advisor and a Specialist Investment Advisor. He is currently progressing towards CFP certification by completing the Graduate Diploma in Financial Planning. An experienced consultant specialising in the implementation, communication and management of Employee Benefits solutions. Gerard has over ten years industry experience having previously worked for Aviva in Ireland and Alexander Forbes in the UK. In addition to being a QFA, Gerard holds an MBA. Deirdre originally joined Irish Pensions Trust over 30 years ago. This company eventually became known as Mercer. She left Mercer as a Principal of the company. During her many years there, she worked with the actuaries, in administration, in account management and in consulting, spending her last 10 years setting up and running the company's pension scheme wind up department. 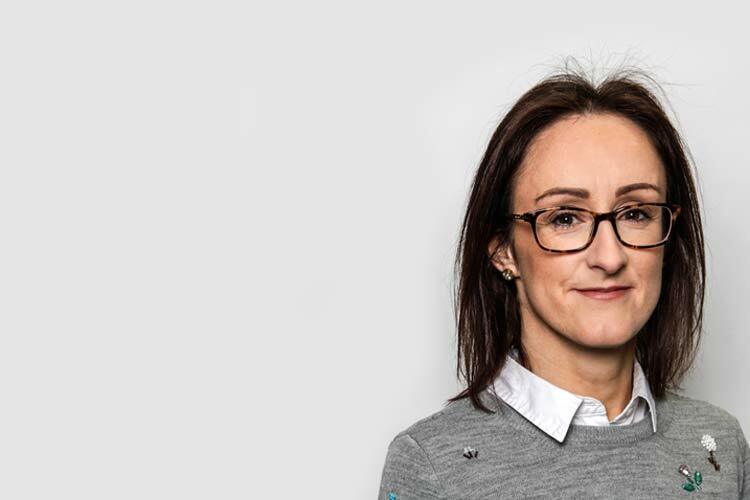 Deirdre brings a wealth of experience with her, in all areas of pension scheme management, to her role as a Consultant in the Employee Benefits department in Acumen and Trust. Barry has 20 years experience working with employers on the design, implementation and communication of staff pension schemes. Prior to joining Acumen&Trust, Barry was a Pension Adviser with FBD Financial Solutions where he managed a number of corporate clients such as director pensions, multi-member risk and pension schemes. Barry is a Qualified Financial Advisor and a holder of the LIA pensions diploma and attained the Retirement Planning Adviser Diploma from the LIA in 2014. An experienced consultant with a background in HR. 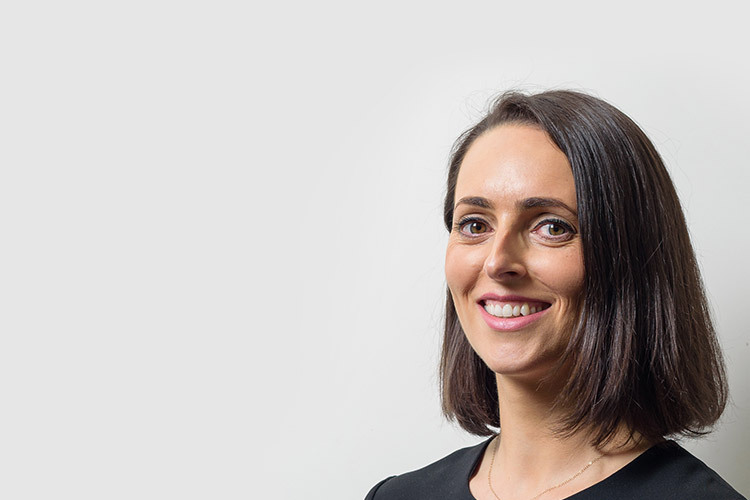 Jennifer advises a wide range of Corporate Clients on all aspects of their employee benefits package; with particular focus on group pension, risk and health insurance benefits. Before joining the company in 2006, Jennifer worked as a Retirement Consultant for Mercer. 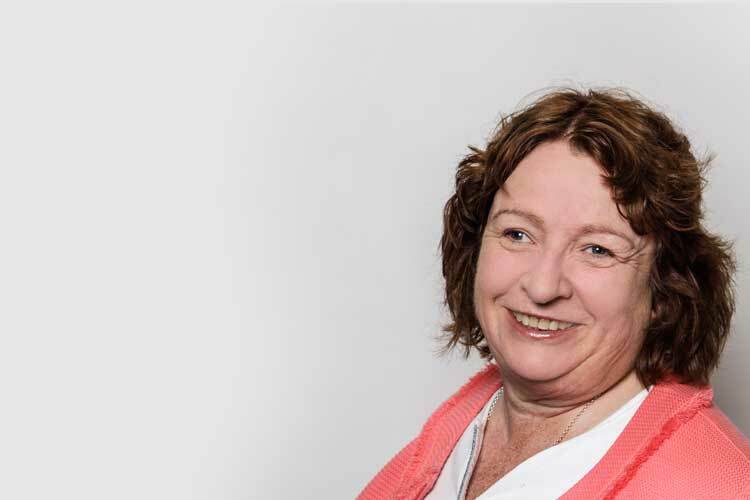 A key staff member since 2000, Deirdre is experienced in all aspects of pensions administration. 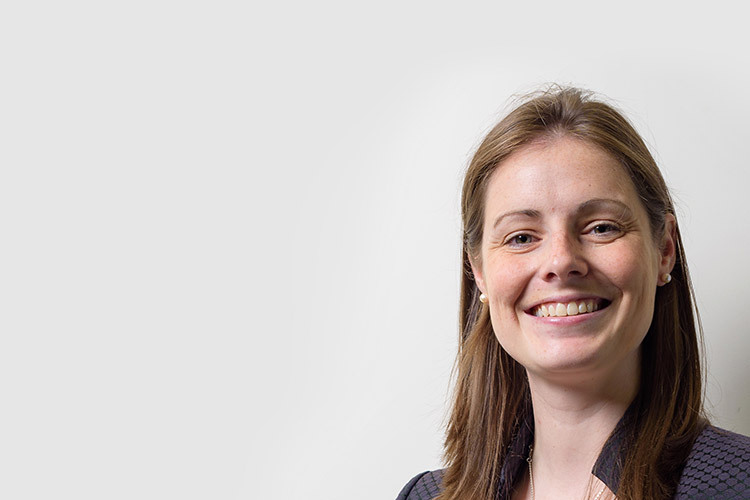 She specialises in group DB and DC self-administered schemes and compliance, providing full scheme administration and registered administrator services on behalf of scheme trustees. Before joining the company, Deirdre held senior administration positions in Scottish Provident and Norwich Union. Jill joined the company in 2005 as an Employee Benefits Administrator working with Pension Arrangements and Risk Benefit schemes of varying size. 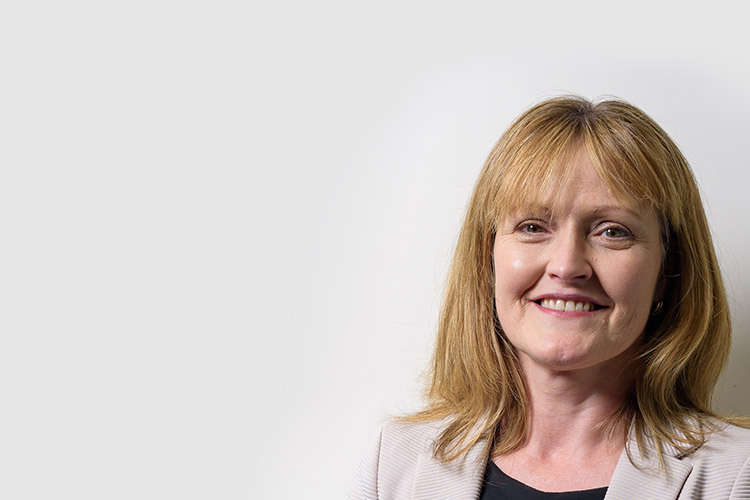 As a key growth area in our business Jill has recently been appointed as our Employee Risk Benefits Adviser specialising in Employer sponsored insurances such as Healthcare, Life Assurance, Long Term Disability, Dental & Vision insurances. Jill is a QFA (Qualified Financial Advisor) since 2013 and is recently qualified APA.. Prior to joining Acumen & Trust, Jill held administrative positions in Eagle Star Life & Pensions and Chadwick LLP (UK). Paul has a broad range of experience with specialist skills in tax and accounting. His role as SSAP Administrator Manager is to oversee the running of the portfolio of Small Self-Administered Schemes (SSAPS) for which Acumen & Trust act as Registered Administrator. Prior to joining Acumen & Trust in 2010, Paul gained his experience with Deloitte, Zurich, and the Revenue Commissioners. 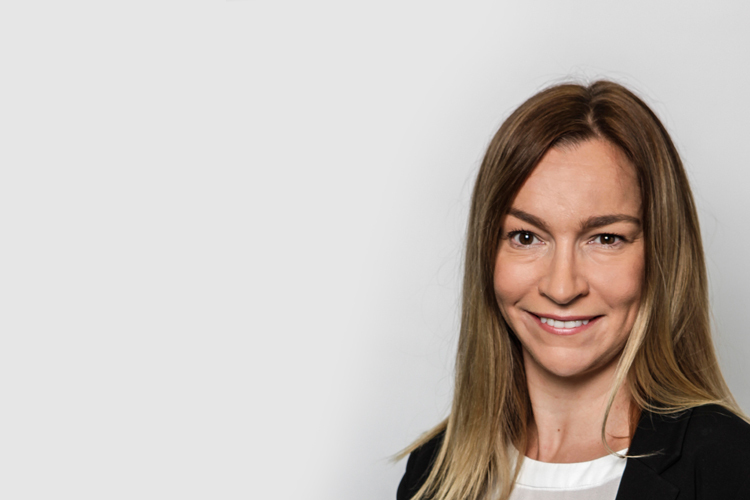 Michal's role involves the administration and portfolio management of Small Self Administered Pensions with Acumen & Trust as registered administrator. He has experience in Residential Mortgages, Customer Service, IT support, Compliance, Asset Administration in Unit Trusts, ARFs, PRSAs and SSAPS and also has extensive expertise in the transfer of assets, ARFs and Unit Trusts. He has worked in a number of financial institutions including Irish Nationwide, Start Mortgages, Standard Life and Harvest Financial Services and is also a Volunteer for Special Olympics Ireland (since 2007). Coming from a Mechanical Engineering background, he joined the Financial Services industry in 2005 and holds a Banking Operations Certificate and Qualified Financial Adviser (QFA) Diploma since 2008. He is currently working towards an Hons. Degree in Business Management. 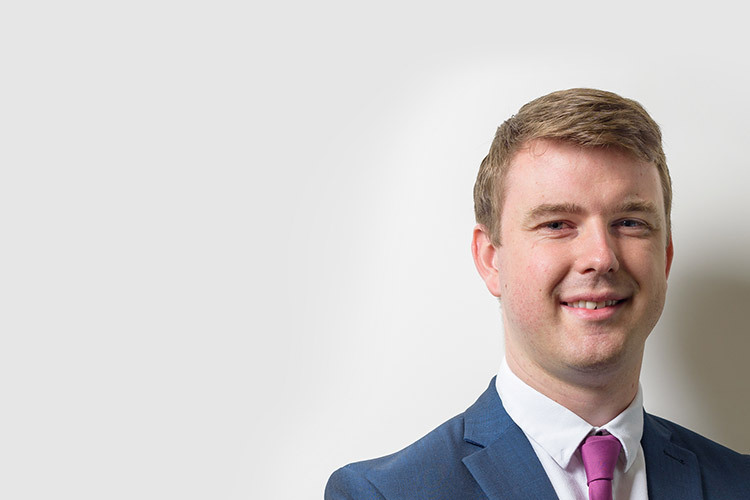 John joined our Small Self-Administered Pensions team in 2013, with a focus on the provision of customer service excellence to our portfolio of SSAPS clients as well as providing support to our sales team in the development of new client relationships. 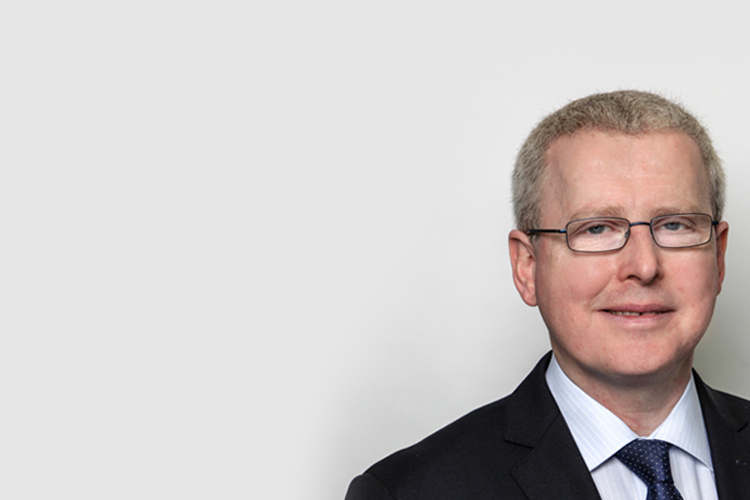 In 2017, John transferred internally to our Employee Benefits team and is now responsible for the administration of a portfolio of Insured Defined Contribution Pension Schemes and standalone Risk Schemes. 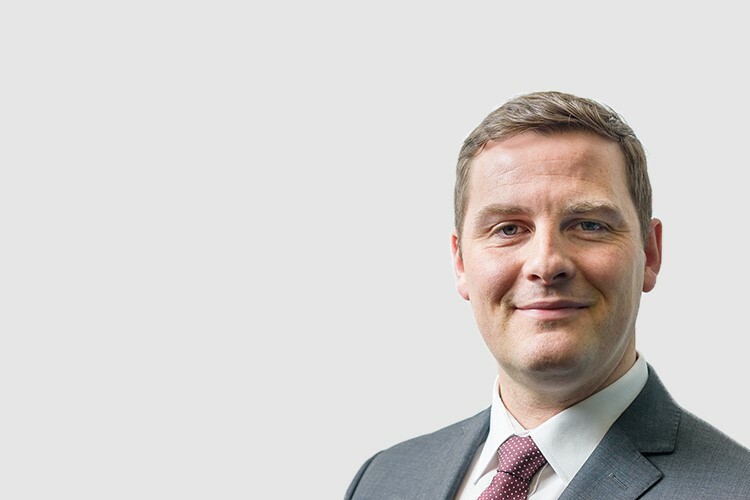 Prior to joining Acumen & Trust, John gained extensive industry experience working with Ark Life & Aviva in their technical services teams before moving on to work with the Group Pensions and Group Risk teams in Zurich Life. 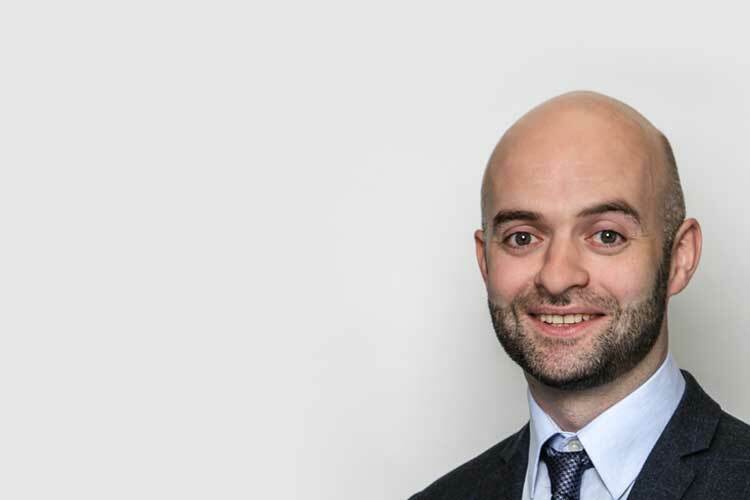 John has an honours degree in Insurance and French and has gained QFA, FLIA, RPA accreditation as well as completing diplomas in Life, Pensions & Mortgages. .
Vanya is an Employee Benefits Professional who is responsible for managing the systems implementation of Full Service Clients. She has extensive experience looking after Defined Contribution Pension Schemes, Life Assurance and Permanent Health Insurance Plans. Vanya is a Qualified Financial Advisor, Associate of the Irish Institute of Pensions Management, Retirement Planning Advisor and an Accredited Product Advisor. She previously worked in IFG Corporate Pensions as a Senior Pension Administrator, dealing mainly with large size full service Occupational Defined Contribution Pension Schemes and their attached Group Life and Permanent Health Insurance Plans. 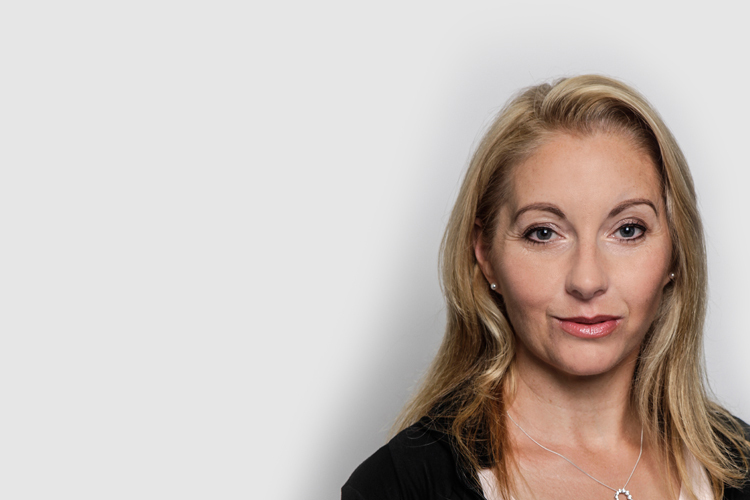 Audrey manages the Employee Benefits administration team and also specialises in Insured Defined Contribution Pension Schemes and standalone Risk Schemes. Audrey began her career with Zurich in Actuarial support before moving on to Aviva where she held various positions including Technical Services Administrator and Group Risk Administrator where she garnered a wealth of experience in Group Scheme Portfolio Management. Audrey graduated from NUI Maynooth with an Honours Degree in Mathematics & Experimental Physics. 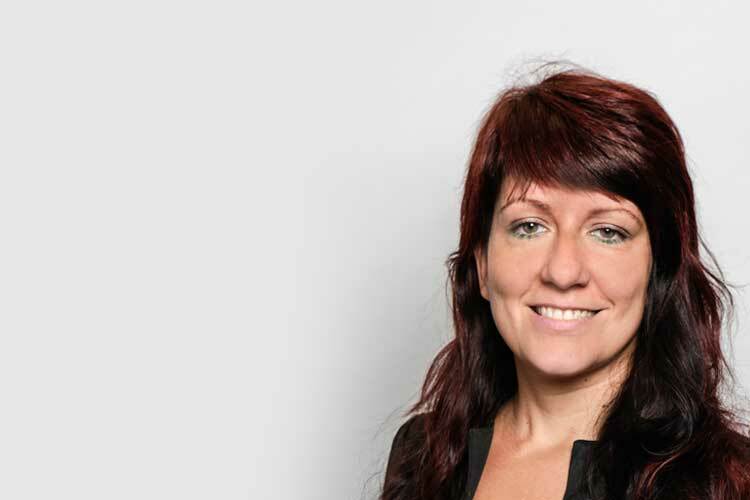 Tara joined Acumen & Trust as a Pensions Administrator in the Employee Benefits Team. She is responsible for a portfolio of both full service and insured Defined Contribution and Defined Benefit Schemes along with Life Assurance and Permanent Health Insurance schemes. 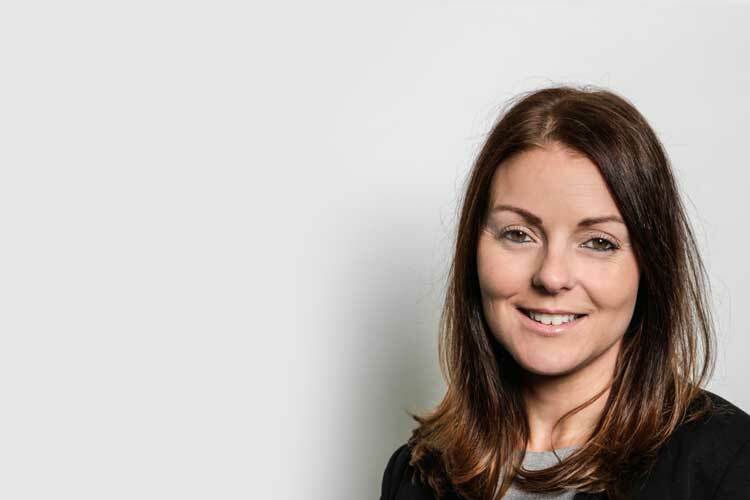 Tara has over 15 years experience in the industry having spent over 10 years in BDO and previous to that Price Waterhouse Coopers, Zurich and Irish Life. She is a Qualified Financial Advisor since 2002. Frank joined the company in 2015 and initially joined as administrative support to the Financial Planning team. In 2016, Frank transferred internally to Employee Benefits and is now responsible for the administration of Insured Defined Contribution Pension Schemes and standalone Risk Schemes. 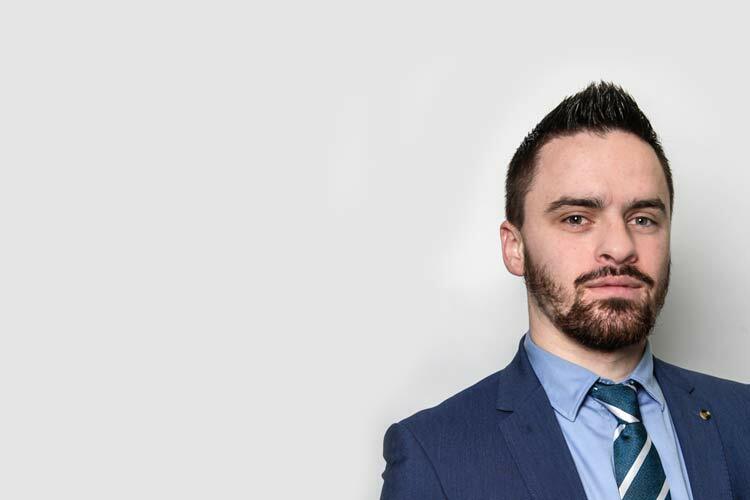 Frank is also a Qualified Financial Adviser and recently completed studies in Business Analysis through the National College of Ireland in the IFSC. Frank has worked in Financial Services for almost 10 years. In his previous roles with Ark Life, he worked in a number of areas including the Technical Services, Bancassurance Support and Customer Services Compliance departments during his 7.5 year tenure. He joined the company in 2017 as an Employee Benefits Administrator and is currently doing Qualified Financial Advisor (QFA) exams. 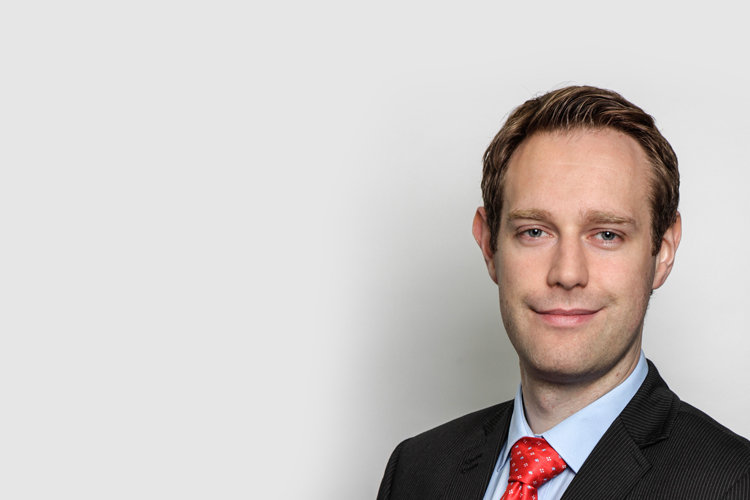 He's responsible for the administration of Defined Contribution Pension Schemes and started his career in Zurich Life as a pensions administrator dealing with individual and group policies. 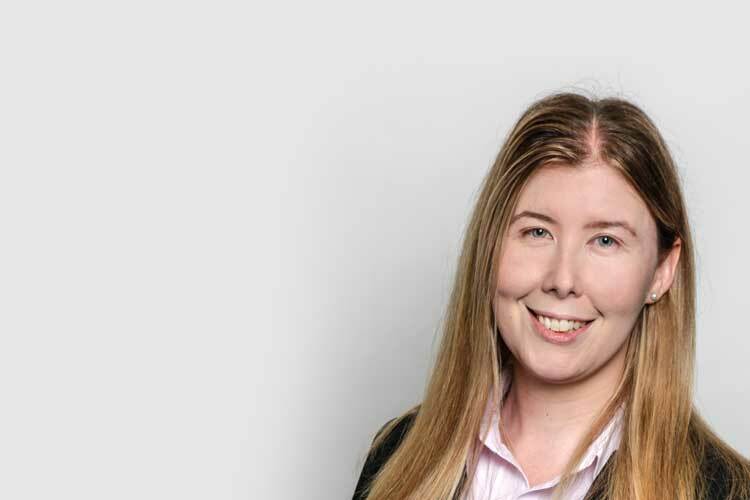 Kayleigh joined Acumen & Trust in 2018 and is currently responsible for the administration of insured defined contribution pension schemes and self-administered defined contribution pension schemes. She has five years’ experience working with defined contribution pension schemes. She has completed the qualified financial advisor and retirement planning advice exams. 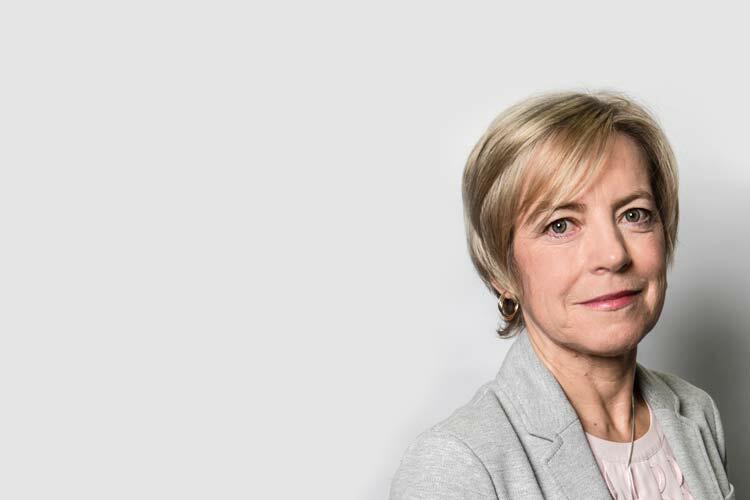 She is currently a member of the Irish Institute of Pension Management and is awaiting the finalised results for Associate of the Irish Institute of pension management. 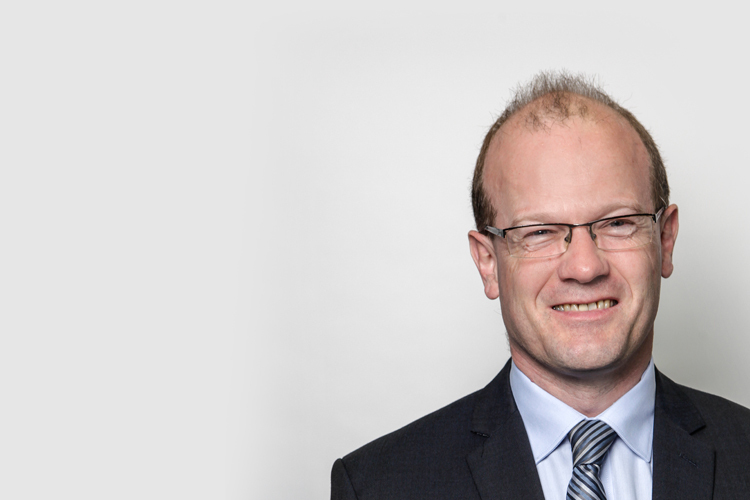 Grahame joined Acumen and Trust in 2018 and in his current role is responsible for the administration of Insured Defined Contribution Pension Schemes and standalone Risk Schemes. He is currently undertaking his Qualified Financial Advisor (QFA) Exams. Previous to joining Acumen and Trust he was working in the UK where he was responsible for administering the Civil Service Pension which had Defined Benefit, Defined Contributions and Life Assurance schemes. Colm graduated from University College Dublin with a B.Comm. and began his career as a tax consultant with KPMG. He has extensive experience in investment management and tax planning. He is also an Associate of the Irish Tax Institute. A founding director of Acumen & Trust, Colm's main role is determining and implementing business strategy for the company. Diarmuid joined us in 2014. His main duties are the provision of strategic management information to support board decision making, along with credit and supplier management. 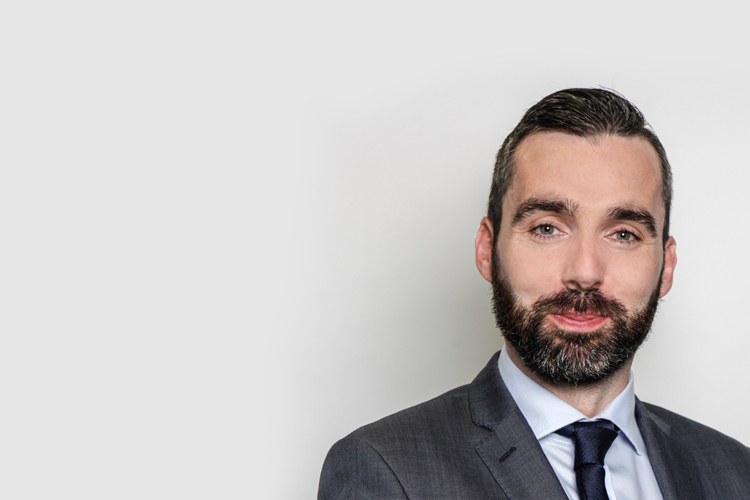 Diarmuid is a member of the Institute of Certified Public Accountants in Ireland and has previously held a number of positions in the Finance Departments of multinational Automotive, Asset Management, Software and Life Assurance organisations. Edel joined Acumen & Trust in 2016 and works as part of the finance team. She is a qualified accountant and a member of ACCA. Her role involves developing and managing financial systems to provide strategic management information in support of board decision making. An experienced administrator, Ann is responsible for the efficient running of the reception, documentation management and client communications, as well as providing administrative support to company directors. Prior to joining Acumen & Trust in 2007, Ann was practice manager in the medical field. Bernadette has 20 years experience in PR, Customer Services and Office administration and holds a diploma in Public Relations. Before joining Acumen & Trust, she worked as a medical secretary and previously worked in the National Lottery as the Public Relations Officer and in Customer Services. 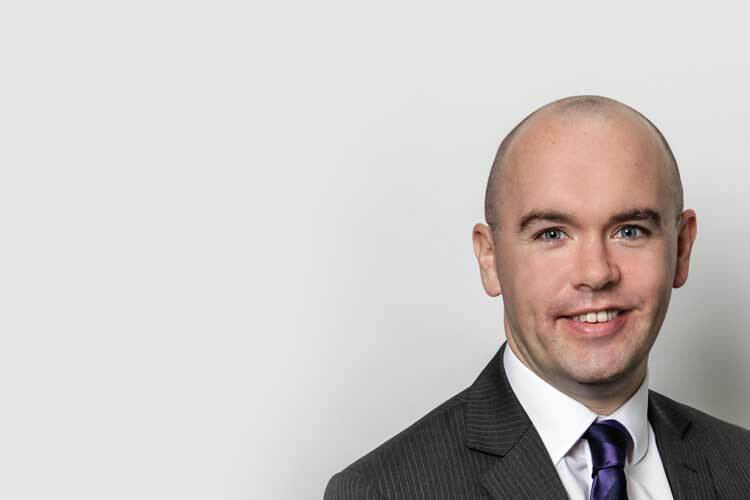 Feargal joined Acumen & Trust in 2016 as a Financial Planner and recently moved roles into compliance. He works alongside our external compliance consultant in ensuring Acumen & Trust DAC operate in a compliant manner in accordance with the relevant legislation which includes the Consumer Protection Code, Minimum Competency Code and GDPR among others. He has over 11 years experience in the Life & Pensions industry. Having completed a degree in Business Studies with DIT in 2005 he started his career in Caledonian Life before moving to Canada Life and then Aon. He is a Qualified Financial Advisor and completed the Graduate Diploma in Financial Planning and also attained Certified Financial Planner status. 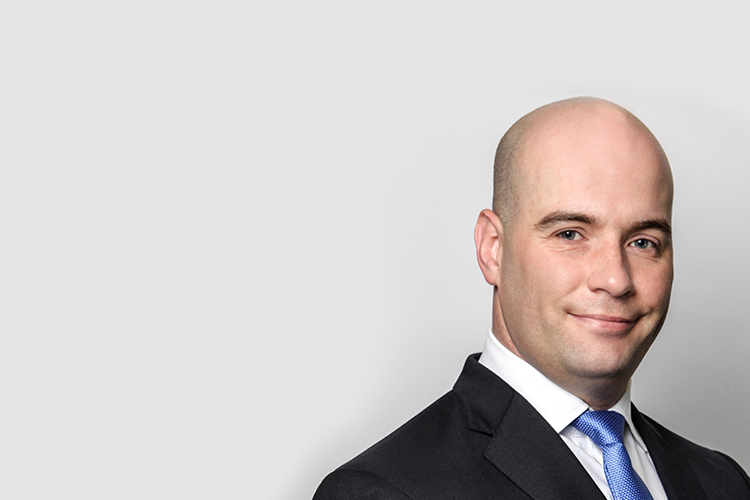 Killian has 14 years experience working in the financial services industry. He joined Acumen & Trust in 2017 as a Financial Planner, however in May 2017 he moved role to our Investment Research Team as a Research Analyst. Prior to joining Acumen, he gained valuable experience working with Aon Hewitt, Finance Matters & AIB Wealth Advisory. 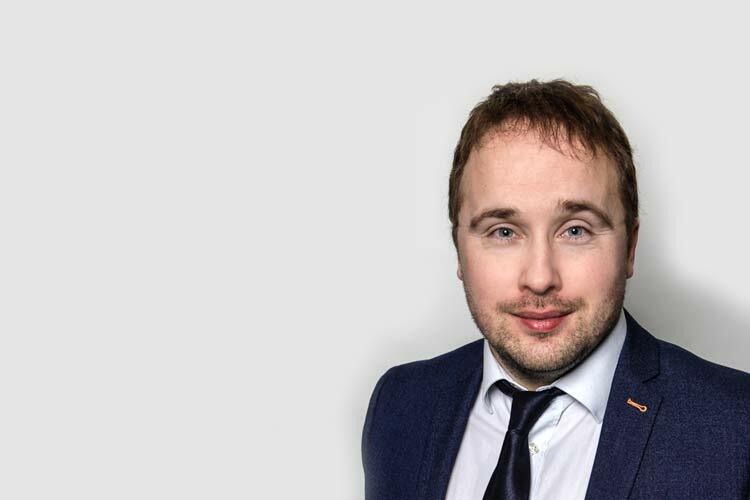 Killian is a Qualified Financial Adviser, Specialist Investment Adviser, has completed the Graduate Diploma in Financial Planning, attained the Certified Financial Planner status and completed a Masters in Financial Services. He is currently studying the Chartered Financial Analyst exams. 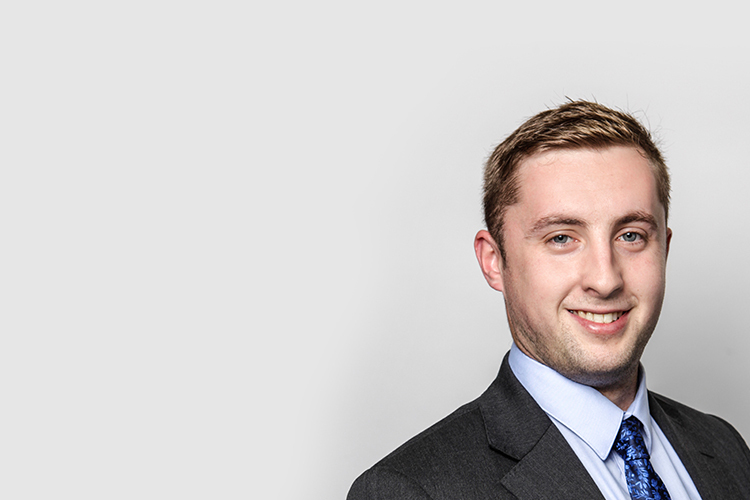 Stephen has 3 years’ experience working in the investment management industry. He holds a BSc. Finance degree and a MSc. Asset Management degree both from University College Cork. He started his career in Abbey Capital as a fund accountant. Stephen has passed all three levels of the CFA (Chartered Financial Analyst) Program and is awaiting full membership upon completion of the required work experience. Manju graduated with a Bachelor’s degree in Computer Science and is currently doing an online Masters in Data Analytics with UCD. Her role in Acumen & Trust involves designing and developing the optimum technology strategy for the overall business. She previously worked as a Technical Architect, designing and building a CRM application on .NET framework which manages financial services and mortgage advisor requirements. Her area of expertise is in the full life cycle of product development. 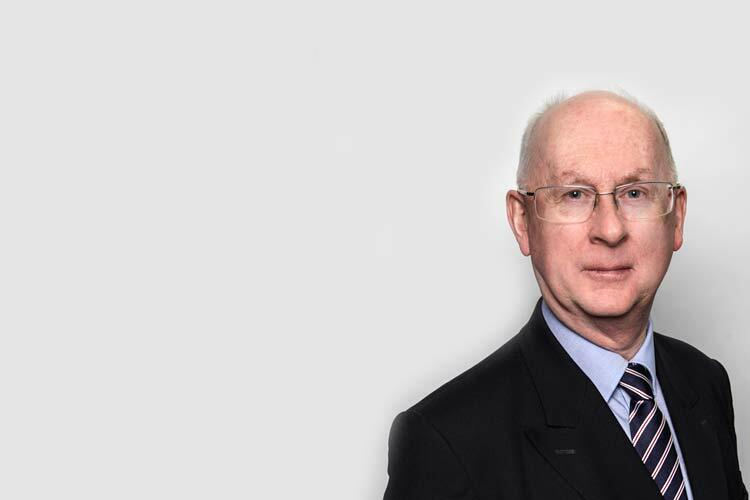 Philip has over 30 year consulting experience with trustee boards developing the stages of pension funding and saving, successful investment designs, governance and communications. His experience is drawn from both Irish and multinational companies – many of whom are well known names with large funds under investment. 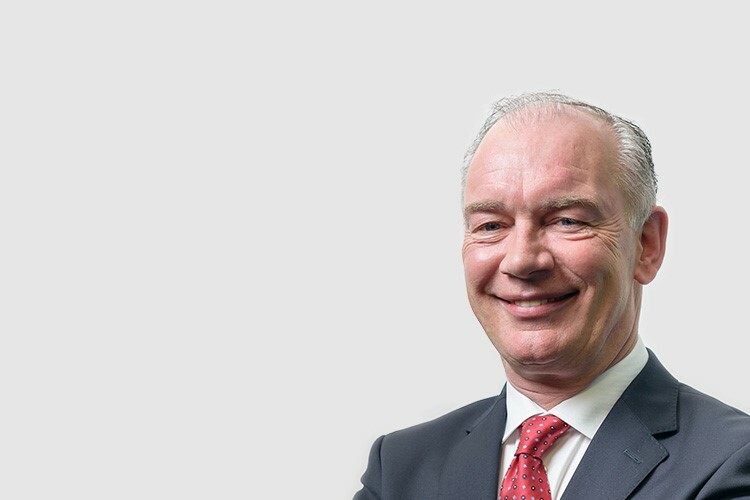 He is a Fellow of the Irish Institute of Pensions Management (IIPM), holds the Qualified Pension Trustee qualification, is a past President, and current Council member with a focus on trustee governance. We were recommended to Acumen & Trust by a friend because we wanted to understand where we were financially. They explained everything simply and gave a clear indication of where our finances were and offered solutions where we needed help. They were independent and very professional in their advice and we have a strong relationship with them. We would not hesitate to recommend Acumen & Trust to colleagues, friends and family. My main mantra is service to clients, I'm hugely interested in giving good service...clients come first...Acumen & Trust have that same ethos. We've started to send a lot of clients to Acumen & Trust, they're happy, we're happy, the i's are dotted and the t's are crossed, rules and regulations are abided. They have the clients' interest at stake. Kuehne + Nagel initially engaged with Acumen & Trust to understand their capabilities regarding providing a brokerage service to our pension scheme. The level of engagement and professionalism exceeded our expectations and they secured our business. However it was in the actual delivery of their service that they truly showed their value. Our staff have been extremely complimentary of the Acumen & Trust service provision and they have proven to be a worthy and valued partner of Kuehne + Nagel. Indeed their approach to pension advice for our staff was so comprehensive and delivered with real quality that our scores on a recent employee survey peaked on the retirement planning question.